The NASA/ESA Hubble Space Telescope, in collaboration with several other ground- and space-based telescopes, has captured a galaxy being ripped apart by a galaxy cluster's gravitational field and harsh environment. The finding sheds light on the mysterious process by which gas-rich spiral-shaped galaxies might evolve into gas-poor irregular- or elliptical-shaped galaxies over billions of years. The new observations also show one mechanism to form the millions of "homeless" stars seen scattered throughout galaxy clusters. There are many galaxies of different shapes and sizes around us today. Roughly half are gas-poor elliptical-shaped galaxies with little new star formation activity, and half are gas-rich spiral and irregular galaxies with high star formation activity. Observations have shown that gas-poor galaxies are most often found near the centre of crowded galaxy clusters, whereas spirals spend most of their lifetime in solitude. The mystery, gleaned from deep observations of the Universe, is that when the Universe was half its present age only one in five galaxies was a gas-poor galaxy. So, where do all of today's gas-poor galaxies come from? Scientists suspect that some kind of transforming process must have taken place, but because galaxy evolution occurs over billions of years, scientists have so far not been able to see the transformation at work. New observations with Hubble by an international team led by Luca Cortese of Cardiff University, United Kingdom, provide one of the best examples to date of this metamorphosis. While looking at the galaxy cluster Abell 2667, astronomers found an odd-looking spiral galaxy (shown here in the upper left hand corner of the image) that ploughs through the cluster after being accelerated to at least 3.5 million km/h by the enormous combined gravity of the cluster's dark matter, hot gas and hundreds of galaxies. "By combining Hubble observations with various ground- and space-based telescopes, we have been able to shed some light on the evolutionary history of galaxies", said Cortese. As the galaxy speeds through, its gas and stars are being stripped away by the tidal forces exerted by the cluster - just as the tidal forces exerted by the moon and Sun push and pull the Earth's oceans. Also contributing to this destructive process is the pressure of the cluster's hot gas plasma reaching temperatures as high as 10-100 million degrees. Both processes - the tidal forces and the aptly named "ram pressure stripping" resulting from the action of the hot cluster gas - resemble those affecting comets in our Solar System. For this reason, scientists have nicknamed this peculiar spiral with its tail the "Comet Galaxy". "This unique galaxy, situated 3.2 billion light-years from Earth, has an extended stream of bright blue knots and diffuse wisps of young stars driven away by the tidal forces and the 'ram pressure stripping' of the hot dense gas," said Jean-Paul Kneib, a study collaborator from the Laboratoire d'Astrophysique de Marseille. "Millions of now homeless stars have been snatched away from their mother galaxy, which will lead the galaxy to age prematurely," said co-investigator Giovanni Covone of Osservatorio Astronomico di Capodimonte. Even though its mass is slightly larger than that of the Milky Way, the spiral will inevitably lose all its gas and dust as well as its chance of generating new stars later, and become a gas-poor galaxy with an old population of red stars. "However, in the midst of all this destruction, the cluster's strong forces have triggered a baby-boom of star formation," adds Covone. Scientists estimate that the total duration of the transformation process is close to one billion years. What is seen now in the Hubble image is roughly 200 million years into the process. 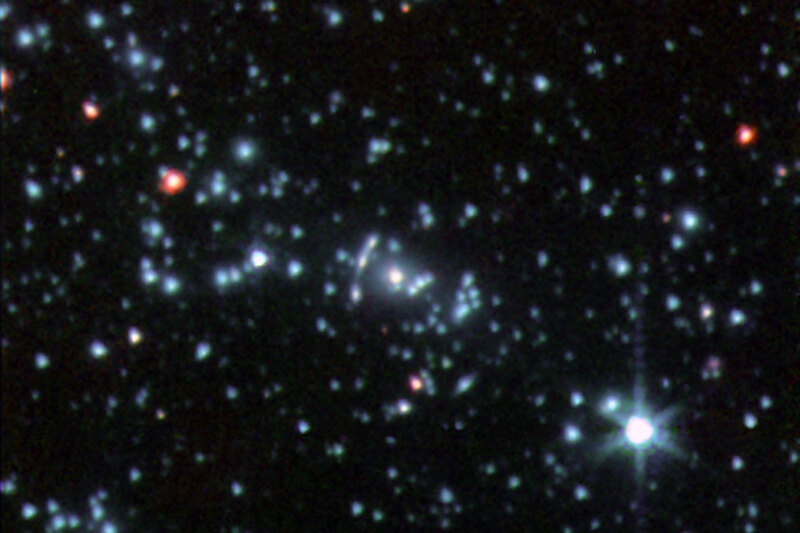 The strong gravitational pull exerted by the galaxy cluster's collective mass has bent the light of other, more distant galaxies and distorted their shapes - an effect called gravitational lensing. 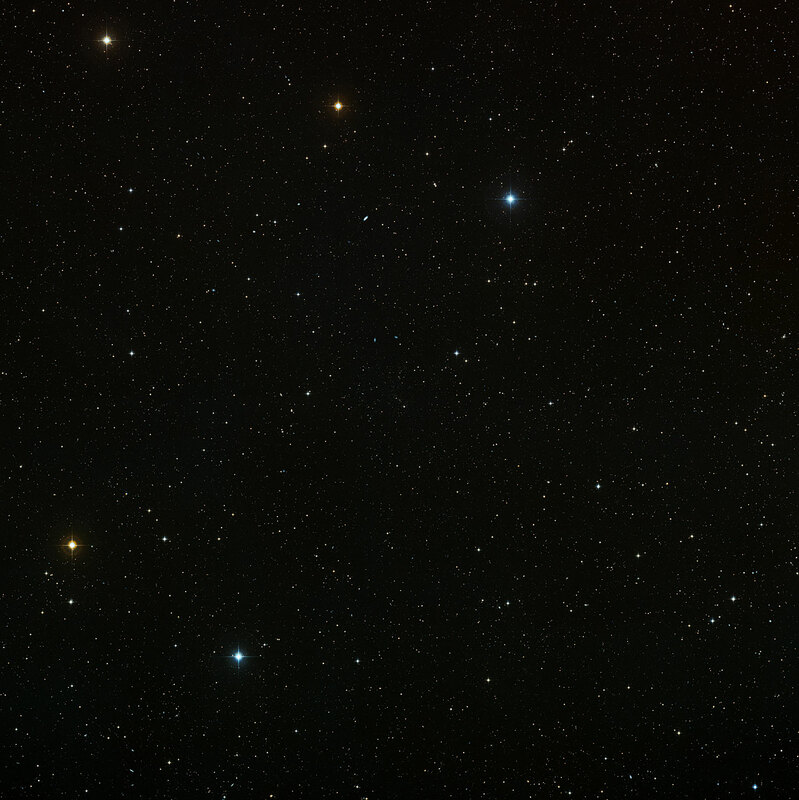 The giant bright banana-shaped arc seen just to the left of the cluster centre corresponds to the magnified and distorted image of a distant galaxy that lies behind the cluster's core. At the cluster's centre another rare feature can be seen: the vivid blue light from millions of stars created in a so-called cooling flow. Some of the hot cluster gas is cooling in a filamentary structure as it falls into the cluster's core, setting off the birth of lots of bright blue stars outshining their environment. This may be the clearest picture of this phenomenon yet. The Hubble image was taken by Hubble's Wide Field and Planetary Camera 2 in October 2001 and is a composite of three observations through a blue filter (F450W, 12,000 seconds), a green filter (F606W, 4,000 seconds) and a near-infrared filter (F814W, 4,000 seconds). 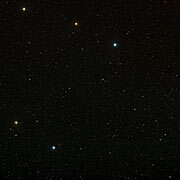 ESO's Very Large Telescope and the twin Keck Telescopes were used for optical spectroscopy and near-infrared photometry, which helped determine the age of the star-forming region. NASA's Spitzer Space Telescope and Chandra X-Ray Observatory were used jointly to confirm that the activity in the "Comet Galaxy" was due to vigorous star-formation and not a super-massive black hole. These results were published in Monthly Notices of the Royal Astronomical Society by L. Cortese (Cardiff University), D. Marcillac (Steward Observatory), J. Richard (Caltech), H. Bravo-Alfaro (Universidad de Guanajuato), J.P. Kneib (Laboratoire d'Astrophysique de Marseille), G. Rieke (Steward Observatory), G. Covone (Osservatorio di Capodimonte), E. Egami (Steward Observatory), J. Rigby (Observatories of the Carnegie Institution of Washington), O. Czoske (Bonn University) and J.I. Davies (Cardiff University). Panning on galaxy cluster Abell 2667. 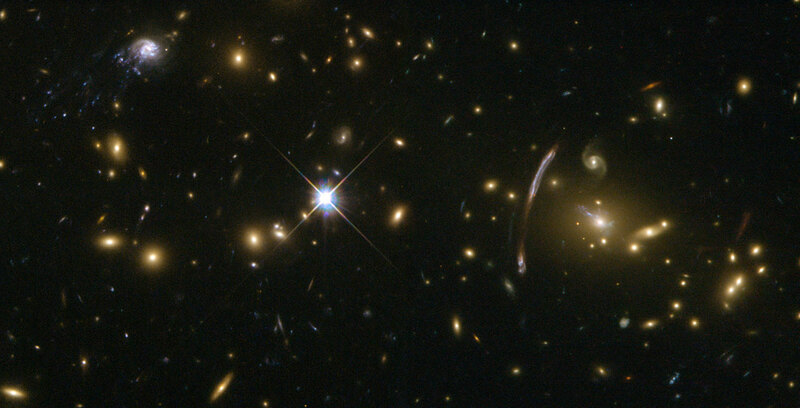 Zooming and panning on galaxy cluster Abell 2667.